The courtyard at 'Wheatly', the E.D. 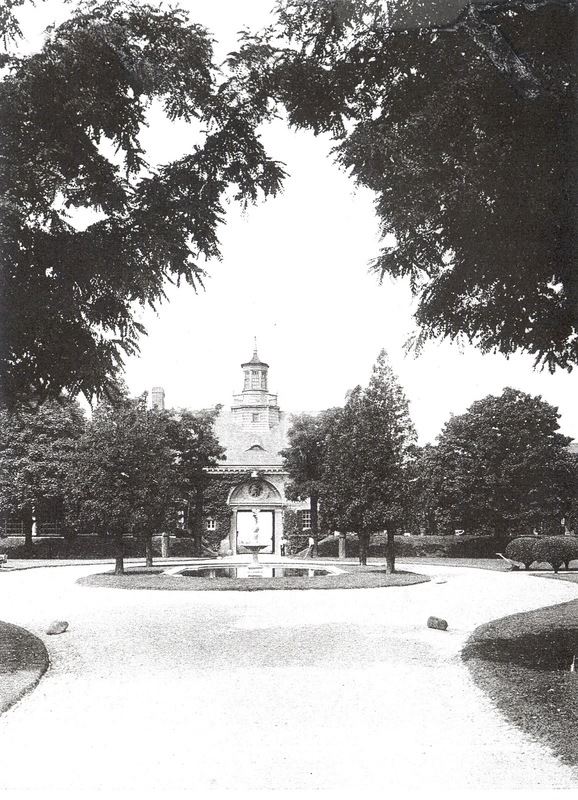 Morgan III estate designed by McKim, Mead & White between 1890-1900 in Old Westbury. Click HERE for more on 'Wheatly' (be sure to scroll past today's post). Photo from A Monograph of the Work of McKim, Mead & White. I never tire of photos of this magical place. What perfect timing. Said it before: the OLI Wheatly file will cure whatever ails you. The headlines have done me in, I am off to the Wheatley file for some soul communion. Agree! Agree! Agree! Another new and fantastic view of Wheatly goes a long way. Look at the old fashioned lawn-mower off to the right. It must have taken forever to mow the lawns of these estates that way.